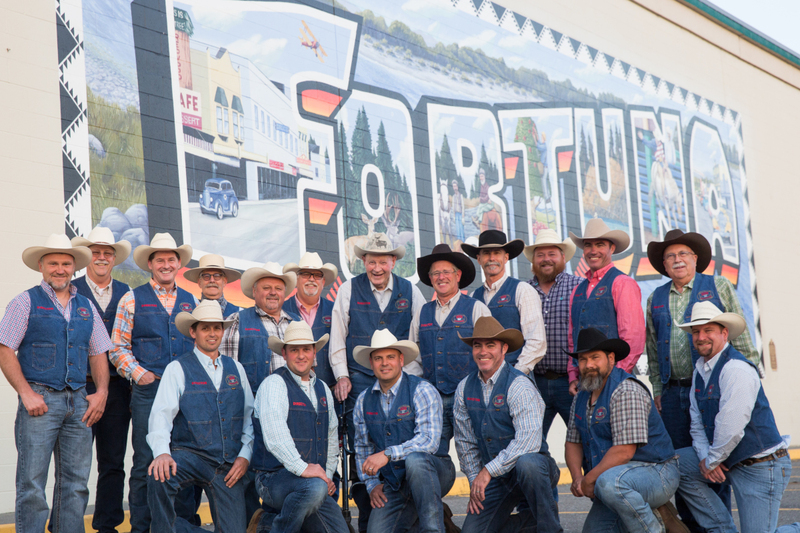 Meet the Fortuna Rodeo Association Board of Directors! Back Row, Left to Right: Wayne Tomasini - Beverages, Mike Johnson - Grounds, Shannon McWhorter - President/Tickets, Jim Hinrichs - Parade, Ricky Ruud - Street Entertainment, Dave Jackson - Secretary, Roy Curless - Carnival/Concessions, Dave Victorine - Vice President/Security, Todd Fulton - Merchant Contributions, Cody Waddell - Beverages, Jessie Renner - Friday Night, Dave Nicholson - Barbeque. Front Row, Left to Right: Ben McWhorter - Sponsorships/PR, Chad Lake - Saturday Night, Hec Wood - Street Entertainment, Russ Renner - Friday Night, Bob Natt - Grounds, Robb Foley - Barbeque.